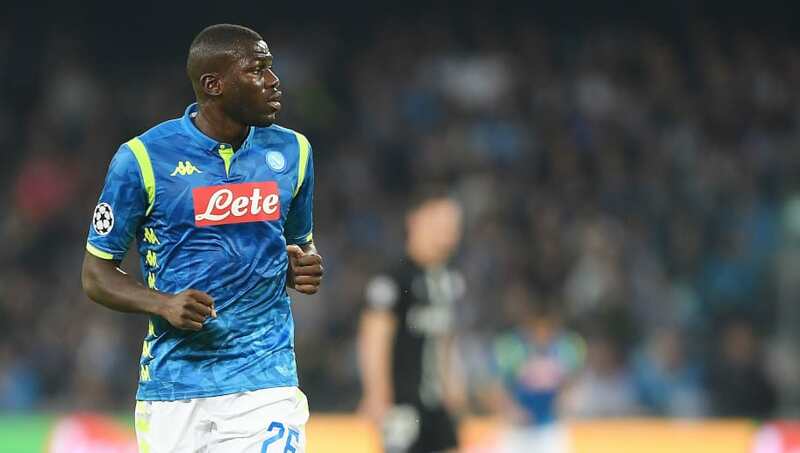 ​After reports earlier this week claimed Manchester United had already seen a €90m bid for Napoli's Kalidou Koulibaly rejected, it has now been revealed that this was a mistranslation, while the rest of Europe's elite remain in the hunt for the defender. According to ​Sport Witness, using Sunday's reports from La Repubblica, the misunderstanding centred around the use of 'maxi offer', which some publications thought signified the use of a club's maximum offer, when it actually just means a 'huge bid'. Thus, the report actually explained: "​United would be willing to put on the plate a €90m maxi offer, but Naples will send it back to the sender." It also revealed that the Red Devils, as well as other English clubs, had also been rebuffed in their advances for the Napoli defender during last summer's transfer window. While the ​Partenopei have repeatedly stated that the 27-year-old Senegalese international is not for sale, that report claimed his transfer value is over €100m - a figure north of the record outlay for a defender set by Liverpool's £75m signing of Virgil van Dijk. And fellow Italian publication Corriero Dello Sport have also cited the figure needed to pry Koulibaly away from Southern Italy as €100m+. They have gone one step further though, and proclaimed that, while Jose Mourinho's side retain interest in the centre back, they will face considerable competition from ​Manchester City, ​Bayern Munich, ​Barcelona, Paris Saint-Germain and ​Real Madrid. Koulibaly, who was born in France and came up throught the ranks at local side SR Saint-Die and later FC Metz, joined the Serie A side from KRC Genk in 2014 for a €7.75m fee. He has gone on to make 180 appearances for Gli Azzurri, picking up eight goals and six assists.